Founded in 1989 Lay Cistercians of Gethsemani Abbey (LCG) is a community of ordinary Christian women and men who are called to contemplative living and prayer according to the Cistercian tradition. LCG members are committed to integrating Cistercian spiritual values and practices in their lives as lay persons. While respecting the integrity of the Cistercian monastic tradition, LCG members seek to enrich their spiritual lives as ordinary Christians by adopting spiritual practices of that tradition that are compatible with a lay lifestyle. The founding members of the community developed a LCG Plan of Life that serves the community as a rule or guide for living a lay form of Cistercian life. In November 2011 the LCG Advisory Council revised a formation guide for LCG members that made formation more in line with the Lay Cistercian Identity Statement drafted and approved at the 2008 Huerta Encounter. There are local LCG communities in Kentucky, Cincinnati, Columbus, Indiana, Chicago, Midland, Michigan, Tennessee and the Northeast. 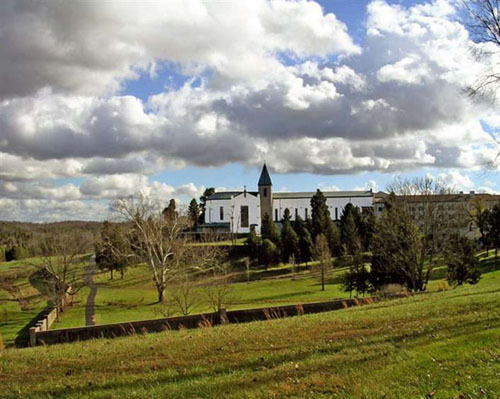 In March 2012 the Lay Cistercians of Gethsemani were recognized by the Abbey of Gethsemani.